Last week, mid-July 2006, I did a walking tour of the old central business district of Tarentum, Pennsylvania. This is a rather historic community on the Allegheny River, 20 miles northeast of Pittsburgh and 2 miles from where I grew up. In the 1950s and 1960s the place was bustling with commerce... kind of sad to see how it is now. The weather was very hot and hazy. Camera: Pentax ME with f:1.7 / 50mm lens. Konica Minolta VX 200 print film. Click on thumbnails to make bigger. Sorry, I do not know the name. Hi, my name is Kurt Wilhelm and I worked at Isaly's in 1966-67. First I was am ice cream boy making cones, sunays and banana splits :-) Later I was 'promoted' to the deli counter and learned to operate the 'chip chopped ham machine'. We had great food and customers. Wonderful menories ! My Uncle Leonard Kowalski bought the Kummer's business, I believe in the 1950s. I have no idea what happened to the recipes since then, not those of your great uncle, nor those of my own uncle. We also lost track of the recipes our Dad Ed Kowalski used in our family bakery in Natrona, Kowalski's Bakery on Pine Street. So much in historical material gets lost along the way! Stumbled across this in my research. I was trying to find anyone that knows where the recipes from Kummer's may have gone to or if anyone has them? I am the great-niece of Mabel and Karl Kummer. Can anyone help? I was a stock boy at Murphys in 1974, I miss those days. I would have a 1 hour lunch and eat at the Praha, Mcools , masserts, frans lounge, or Mr subs and Isalys.The nice thing about it was that I knew those days were special even back then. Dennis, I was thinking about Gerri, just this last week. We were told that she had perfect grades in med school. I was at her wedding in the downstairs of St. Paul's Cathedral on Fifth Avenue in Oakland, reception followed at a nearby apartment. Don't know if you heard, but after our sister Teri passed away, the house at 75 Pine was vacant, until Janice managed to sell it last year. Not many Kowalskis left in Natrona or in Tarentum. Thanks for the response. I was sorry to hear about the passing of your brother-in-law Sherm. Not too many of us stay in touch sadly. Bob Polczynski and I chat weekly. I also remember going to your house with the bakery in the back, and the Sowinski's across the street. Bob goes to Boston annually to see cousin Gerri (Dr. Pinkus). Take care and keep shooting those wonderful photos. Hello, Cousin Dennis. Good to hear from you. I have so many memories of back then. We would come visit at Christmas time, and your Mom would flip on the light in the stairs and come down to greet us. I remember when your bedroom was re-paneled in knotty pine, a novelty idea at the time. Downstairs in the bakery, your Dad's baked goods were absolutely superb. I also remember vividly the flood of '64. Your Dad opened the door to the basement to show us how it was filled with 6 feet of water! In response to a couple of issues, Bib and Pauline Kummer sold the business and building to Leonard and Florence Kowalski. Florence did work in bakery for several years before her giving birth to her second child. She also ran the Heights Plaza bakery for a couple of years before it was sold to Princess Pastry. Where the building now was is now Altany Insurance and Family Services of Western Pennsylvania. It's kind of ironic, that where my Grandparent's bakery once stood, is now the offices of my current employer. Kummer's Bakery will never be forgotten. Looking for information. What was in the building on west seventh avenue that now hoses the James boxing club? The drug store was across the street from Harrison's. Harrison's rented tuxedos. Above, in the photo "corbet_street1" the building on the left with the white sign reading "Dance Studio" is where Kummer's Bakery was. Only images I have of Kummer's are in my brain, from when my Uncle Leonard Kowalski was the owner. The set up was first class, and the upstairs where my uncle, aunt, and cousins lived was absolutely gorgeous. Hung out at the Tarena in 1968 - 1969. Great dance hall on Saturday nights. I just happened upon this site and am really glad I did. I too grew up in Tarentum (Fawn Twp), going to the Tarena and Islay's after the football games. I also remember having lunch almost every day at Riddle's where a 'Student Special' (burger, fries & coke) was .55 cents. Tarentum was a great town and whenever I'm visiting my Aunt in Lower Burrell, I always have to drive around town and remember what a good time I had back in the day. My Aunt Florence and Uncle Leonard owned the bakery and I remember Uncle Lenny's Maple Rolls were perfectly delicious! Great to see Tarentum. I was one of those Har-Brack brats, but lived three blocks from Tarentum. I am looking for info on my cousin Judy Helsel and Judy Morrow. Perhaps there is someone out there to help me. Email me at will_rosie_anderson@msn.com. I am so glad you recorded these images. I spoke with a friend I went to high school with who had visited Tarentum a few weeks ago, around July 4, 2013. He told me the whole block where my parent's bakery was has been torn down. My father was Leonard Kowalski. He bought Kummer's Bakery from William (Bib) Kummer. I remember Bib. And all the places people have mentioned (including Santa's House, Harry's pizza with the neon sign that read 5 cents a slice, and so much more). My father, Leonard did use the recipes in the bakery. And he always promised to keep the name of the bakery Kummer's. I loved reading all of the comments again! I missed my Uncle Leo and the bakery shop. Our dad was was also a baaker in Natrona,Kowalski's Bakery. Our uncles, Frank and Henry were also bakers and our aunts worked in the shops. Miss it all! Still love looking at these pics and remembering growing up there. Sherm is from Lower Burrell and they shopped mostly in New Kensington. Loved Uncle Leo's chocolate chip cookies from the bakery - they were the best. Most of our aunts worked at the bakery at one time or another- Mary, Clara, not sure if Eleanor worked there. Cioci Florence (Uncle Leo's wife) never really worked in the bakery. Don't remember the hardware store just below THS, was it where the Gas Station is now, across the street from the "Y? It is a cycle shop now. There were so many clothing stores too. Natrona was a bustling town when I was growing up. Garfield St. even had a 2 story department store. Oak Alley was like today's pedestrian Mall with soooo many stores from Pond St. all the way to Spruce St. I can still see it now. Hi, I am Sheila Smith Bishop of Broken Arrow, OK. I was born in Lower Burrell, and lived in Natrona Heights and Sarver,,,now Im in OK. My wonderful memories of Tarentum were with my maternal grandparents, Henry & Sarah Wilson of Bull Creek Rd., now the Millerstown-Culmberville Rd. area,,the bus line used to stop in front of my grandparents home, and we would go to downtown Tarentum for the day,,,G.C. Murphy's, Isalys, the Manos, were favorites. We would walk those sidewalkds and go place to place with Grandma, then go back to her home. I also remember going to the dentist and eye doctor there. But cannot remember the doctor's names. And one business that my dad took me to was Burke's Fine Clothes,,,remember that wonderful family business. They had very nice clothes. But who remembers the wonderful Stockdale Hardware Store? I remember it had Christmas. It had several floors, and at Christmas, they would have the toy section,,,I would roam that store with my dad. It stood high right below the old Tarentum H.S. and before you enter the Tarentum bridge. 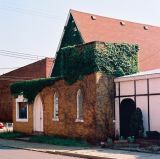 Thank you for the wonderful pictures of Tarentum, but it is always worth trying to keep some of those original buildings that still are strong. hey, does anyone remember visiting santas house down tarentum across from western auto? As Eric mentioned, we are the grandchildren of the William and Louise Kummer. When our Uncle Bib passed away in 1987, I found a spiral notebook with recipes. That book is somewhere in my house and though they are detailed, I cannot be sure they were actually used in the bakery. My grandfather and grandmother, William and Louisa Kummer, owned Kummer's Bakery on Corbett Street and lived on Second Ave; their children Karl, William, Pauline, and Helen who was my mother, lived above the bakery. Anyone interested may contact at hereseric@alive.com. My grandfather was William E. Kummer, his son Bib sold the bakery in 1954 or so to Ed Kowlaski, Is that you? Looking for some great old pics of tarentum and brackenridge and the plaza try Crystal View Gang's picture on facebook. Just discovered it and loved the pics. In not sure of anyone looks at this anymore as it was from several years ago. I'm trying to find info on Kummer's Bakery. It was owned and ran by my Mother's cousins, I believe. I just wondered if anyone knew where all the old recipes went? Who remembers Burkey's, The Greek's, Meeting at the phone booth on Corbett street, and can you ever forget Harry's Pizza? Tarentum is about to lose some more landmarks on Corbet St. I can only assume you are of the Kumer's Bakery Kowalski's. One of the buildings to be removed is the old bakery building. I talked with a man who recently was in the building. He said that aside from the fact that there is a hole in the roof, the upstairs apartment looks ready to move into. He said all of the pine paneling is still in place. I am hoping that some of it will be salvaged, and not destroyed. There is to be a large office building put onsite that will include among others Lloyd & Lindquist. Some things do come full circle. Enjoyed the pics. I was born & raised in Fawn Twp., my Grandparents lived on Brackenridge Ave in Brackenridge, & some of my earliest (& fondest!) memories are of Tarentum! 'Going shopping "downtown" with my Mum, @ GC Murphy's & Michaels! 'Buying my "Buster Browns" @ Karps' (& riding the "hobby horse" there! )...and all the tinsel, lights, "the bells" "candy canes" "stars" & "Santa faces" (lights) that hung from the lamp posts on Corbet St @ Christmastime! ( as well as waiting in line to sit on Santa's lap & get pictures taken!...his trailer sat down the street from "Shenkans"!) 'Going to movies @ the "Harris" & the "Manos"!! I cherish my years @ THS (7th-10th) grades, before moving to the "new school"! THe parades down Corbet to Dreshar Stadium for the games, & packing "Isalys'" FULL of people AFTER the games!..The championship Tennis teams & the Basketball CHAMPS of 1968!! I remember the Riverside Park, "phoebe", the canon, the memorial...& walking to the Tarena!! I try to stop back whenever we get back from Ohio to visit! 'Though much is now gone or greatly changed, I will ALWAYS cherish my memories! Thank You, Ed, for your beautiful pictures, & for sharing them with us! Ed - It is spelled Kummer's Bakery. It is going to be torn down soon. I grew up in Tarentum and graduated in the class of 1950. I lived on Bridge st. I live in Flordia now. I was home in Sept and walked the streets and the park. I remember the Murphys store and worked there while I was in High School. The area has run down a lot but it still has some beautiful areas. It will always be in my heart has home. I still have family living in the area. I took some pictures of the Hight School but the front of the building and steps are changed. Remember standing on those steps before the bell would ring for us to go in to class. It was a great place to grow up. Thanks for the great pics. Nice pics. We still walk around Tarentum when we go "home".Sure wish we could go back in time and fix all the houses and neighborhoods back the way they were! Wanted to ask if anyone remembers anything of natrona, mainly (back in the 60's) there were wooden steps from the top of Natrona St. that went down the hill to the Highlands HS. I heard there are still a few of the old steps that remain. My grandparents lived in Tarentum when they first came to the USA, then in Natrona. Ed, Great pictures. My family lived in Tarentium m ost of their lives and my mom and dad graduated from Tarentum High School in 1950. I remember Kuhmers (sp?) bakery and Isaly's as a kid in the 60's. I used to climb on the cannons in the park by the river. Thanks for the great shots and bringing back some great memories. Tarentum is my hometown. I loved the tree-lined streets, especially the one I grew up on. I miss G.C. Murphy's, the lunch counter inside. I miss the best bakery I ever knew that was down by the park. I miss the pizza place around the corner from the drug store next to the movie theater, which I also miss. I loved that park along the river, the yearly fire station sponsored street fairs with the great fresh cut fries! I miss walking around a busy downtown Tarentum. I used to spend all weekend at the Tarena! Isalys really did have the best ice cream! The food at McCools restaurant was also very good. I had a savings account in the one savings and loan and I remember the tasty subs at Mr. Sub. I spent hours upon hours at the Tarentum Library and at the YWCA. I also used to work at the Tarentum Station when it was an Italian restaurant back in the 1980s. I miss Tarentum so much. My family used to vacation in Tarentum when I was a kid 45 years ago. I will never forget the Isalys downtown which had the best ice cream cones in the world and, of course, Klondikes. We used to visit a family there who lived on 1st Ave right across from the park. Tarentum became like a second hometown for me. The memories I have of Tarentum are now to me priceless. Thanks for the pics. I love them. Wish there were more old pics available. Great memories of the Tarena in Tarentum. This set shows some improvement overall, Ed. I see you've started to shoot when the sun is lower to the horizon for more dramatic effect. That's a good technique. Please keep at it. Beautiful pictures Ed! We are so lucky to live near such a nice area. Nice pictures as usual. Looks like ivy is doing well in Tarentum even if the economy isn't. One additional comment re: your picture of the Tarentum Station...it is now a noted restaurant in the area. The building is well-restored to the type of station that was prevalent all over the Western PA landscape in the 40's and 50's. Natrona (your hometown) had a bustling station at one time that was almost identical to the Tarentum locale. Tarentum is a typical old town American location for sure, Ed. Lately, it has become a central point for medical offices for doctors in the area....quaint area for a doctor's office. Ed, I love "Lock Street2" and the "Wall" photos! Well done! Your photos are incredibly sharp. I can see the details of every leaf.